Chapman’s untimely death was devastating enough to Lotus, but then came the second devastating blow as American Express withdrew its financial backing. Lotus, now under the chairmanship of Fred Bushell, was in dire straits and there were serious doubts as to whether it would survive, even with Toyota’s backing. Fortunately, by June 1983 a rescue package had been put together with British Car Auctions taking 25 per cent and merchant bankers Schroeder-Wagg 14 per cent. These were joined later by JCB —the earth-moving equipment manufacturers — with 12 per cent and 14 per cent bought by a business colleague of BCA’s chairman, David Wickens. With Wickens as executive chairman, Lotus looked secure, but he didn’t endear himself to the staff — or Lotus enthusiasts — by abandoning the traditional ACBC green and yellow badge for a dark green squashed lozenge bearing only the Lotus name. lt was the equivalent of Fiat replacing Ferrari’s Prancing Horse with a donkey. If abandoning the traditional Lotus badge was the nadir of Wicken’s time at Lotus then Etna was the apogee. Etna was nothing less than Lotus’ Ferrari basher. This was the car intended to put Hethel on the same level as Maranello. Penned by Guigiaro, the wedgy 0.9 Cd car looked as it if was doing its theoretical 182mph top speed even when parked. 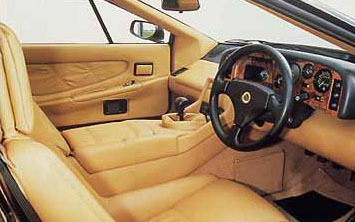 The advanced carbon-fibre reinforced body hid a host of advanced Lotus Engineering-developed technology including active suspension, electronically-controlled ABS and a computer-managed Continuously Variable Transmission system which was standard; a five-speed manual with a power operated twin clutch would have been optional. Etna’s heart was the much-rumoured four-litre V8 Lotus had been developing since 1979. It was more than just a pair of slant fours joined together, more like a completely new power unit. The all-alloy 90 deg V8 weighed in at 414.5 lbs fully dressed, remarkably light given that it produced 330bhp at 6,500rpm and 294 lbs/ft at 5,500rpm. Designated Type 909 features like double overhead camshafts operating four valves per cylinder, pent roof combustion chambers with centrally-mounted spark plugs for efficient burn characteristics and a bore and stroke of 95.3mm x 70.3mm, ensured this was a state-of-the-art engine. Unveiled at the 1984 Birmingham Motor Show, Etna grabbed the limelight from all the other manufacturers. Giugiaro was on hand when the car was unveiled and a sales tag of £28,000 was optimistically talked about. Wickens and Kimberley were candid about the need for a partner to finance engine production so that Lotus could realise the Etna dream. Unfortunately, no deal was struck and Etna remains to this day an unfulfilled vision.
. . . But this one did — ETNA. 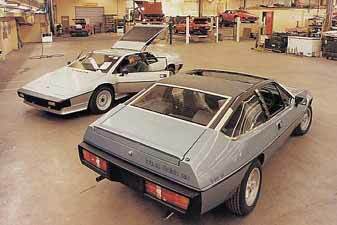 Designed by Giugiaro, it was powered by a Siamesed version of the Lotus slant four engine, the four-litre V8 weighing just 414 lbs fully dressed was expected to produce 330bhp and give the car a projected 180+mph top speed with zero to 60 in just 4.3 secs. ETNA was intended as a Lotus Engineering showcase with an advanced VARI monocoque, Active Suspension, photo sensitised glass, proximity radar to warn of impending collisions, a central computer controlling the engine management system, the suspension, air-conditioning and the ABS. as well as a microprocessor managed CVT system as standard. Unfortunately, ETNA remains a stillborn project as Lotus couldn’t attract any partners for the costly technology involved. Only the 4-litre V8 saw light of day as it became the basis from which Lotus developed Chevrolet’s 5.7-litre LT5 engine used in the potent Corvette ZR-1. Despite the newfound funding, and a considerable increase in business for Lotus Engineering, Lotus Cars still suffered from insufficient capital to develop not only the existing Excel and Esprit, but also X100 the projected new small car. 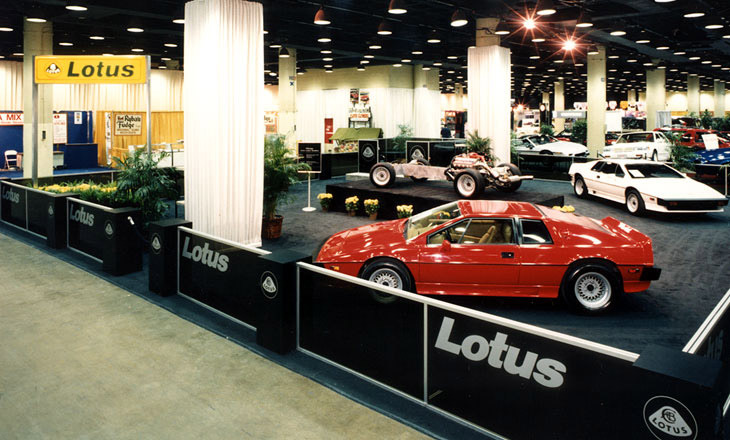 By 1985 it became obvious to the board that if Lotus was to survive its future lay not as an independent, but as the adopted member of a bigger, more financially powerful family. The question was, who? 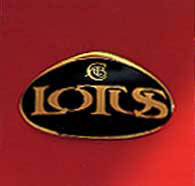 Lotus Engineering’s clients numbered several of the automotive world’s big players including General Motors and Chrysler and it was to both of these that non-executive chairman, Alan Curtis broached the idea of purchasing Lotus. At the time, Chrysler was none too financially secure, but GM was thriving and Bob Eaton — who oversaw much of GM’s future engineering needs — was a keen Lotus fan and, indeed, employed Lotus Engineering on advanced research and design projects. However, whilst a possible takeover bid was being negotiated in the background, model development continued. For the 1986 model year, the Excel SE appeared complete with a veneer fascia, a Momo three-spoke steering wheel and 7x15ins Speedline alloys fitted with Goodyear 215/50 Eagle NCT rubber; a Cam Gears variable ratio steering rack which reduced turns lock-to-lock from 3.1 to 2.65 was also installed. Externally, Lotus had done some aerodynamic fine-tuning with a small bib on the front spoiler and two different boot lid-mounted spoilers — one for the SE and one for the standard cars. It was the first work that Peter Stevens had done for Lotus, though it wouldn’t be the last Inside there was a new wraparound fascia, slimmer headrests, new heating and ventilating system, a tilt-adjustable steering column, central-locking, a new wiring system and a revised headlamp lift mechanism. The Excel never failed to look good on the move, with its clean aerodynamic lines. The Excel interior changed very little over the years, apart from the use of Toyota-sourced switchgear. As the years went by more time, money and effort was spent on developing the Esprit and the Elan, to the detriment of the Excel Yet it still provided one of the best handling and nimblest 2+2s that money could buy. (I Adcock, Car courtesy of London Lotus Centre). When Autocar tested an Excel in February 1986 the magazine praised its “beautifully predictable chassis and willing twin-cam”, but criticised its high £18,000 price tag and “thoughtlessly positioned ignition switch”, narrow opening doors and lack of fuel injection. Still, at least the car’s performance was now on par with its European and Japanese rivals, with a 131mph top speed and sub-seven seconds time for zero to 60mph. 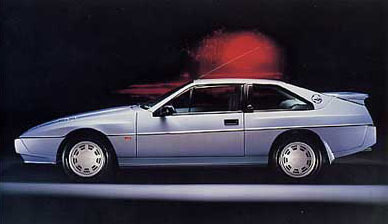 By 22 January 1986, a deal was struck and Lotus had been ‘adopted’. General Motors bought-out BCA, Schroeder-Wagg and JCB, the Americans effectively becoming the majority shareholder. After four months of co-owning Lotus with an arch-rival, Toyota sold out to GM —though it continued to supply components — and by October of the same year, GM had acquired a 91 per cent stake in Lotus. The deal had cost the US giant a paltry — in their terms — £22.7 million. 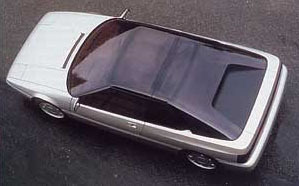 During 1983 the Excel’s styling was further enhanced, for the SE models. Although the bottom half remained virtually the same — except that the front and rear bumper mouldings were body-coloured — the upper half grew blisters over the wheelarches and a rear spoiler was tacked onto the boot further reducing rearward vision. By 1985 Lotus was on a surer financial footing, but the need to grow and develop new models required major financial investment — money that its current owners were unable, or weren’t prepared, to spend. The hunt for a buyer was on and by January 1986, GM had been courted and convinced to purchase Lotus. Out went Wickens and all the other shareholders, Toyota were the last to give up their interest, and Michael Kimberley — who had been drafted into Lotus by Colin Chapman in 1969 to develop the Europa — was eventually appointed managing director and chief executive officer. Lotus’ future looked secure and Mike Kimberley, now chief executive officer and managing director, talked boldly of an exciting range of fresh Lotus products: a new Elan, replacements for the Excel and Esprit and a supercar — code-named M300 — bristling with leading-edge technology to replace the stillborn Etna. At first things started to move slowly. 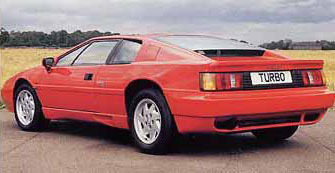 In 1986 the only changes to the model lineup were an automatic version of the Excel — the SA — which used a Lotus version of the ZF four-speed auto and a High Compression version of the Esprit Turbo, which used the same cylinder head design as that on the Excel SE. There was a reason for this slow progress, though that wouldn’t be unveiled until the 1987 London Motorfair and the Florida Motor Show opened their doors to the public for the first time. 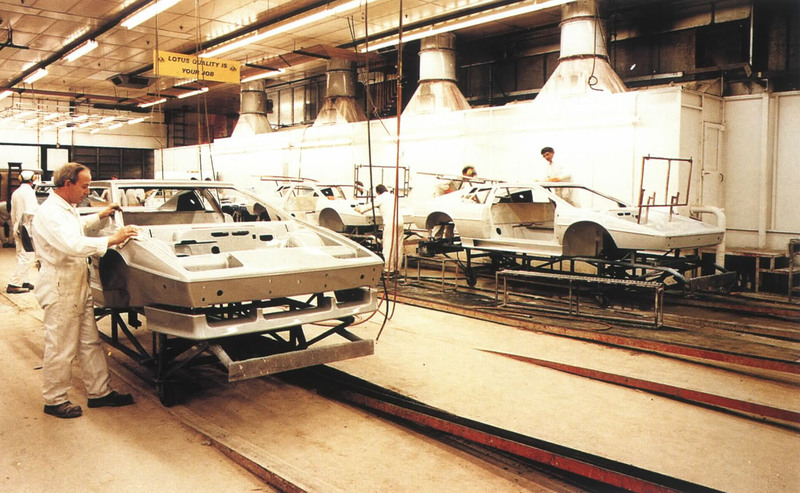 By 1986, when this picture was taken, Giugiaro’s design was beginning to look a little dated and although build quality had improved it still wasn’t on a par with its main rivals. Left: For those that didn’t want the Turbo’s searing performance there was always the normally-aspirated version; this is HC model form 1986-7 with its High Compression 172bhp engine. Sensational though The Giugiaro design was when originally launched, it had aged badly, and its Origami-like styling was jaded and passe. Stevens had a difficult task in that he had to follow in the tracks of a man generally acknowledged as one the most influential designers of modern time yet retain the old Esprit’s dimensions. 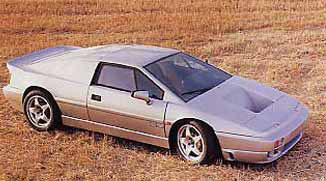 When the revised Esprit was unveiled it was generally acknowledged — with fulsome praise from Giugiaro himself — that Stevens had done an excellent job. Aided by Julian Thomson, Stevens got rid of the flat panels and straight geometric lines, replacing them with more integrated, subtly-shaped forms. Gone, for instance, was the totally flat windscreen, which was replaced by a mildly curved one, though that still didn’t totally irradicate reflections from the top of the dash on a bright day. The flying buttresses were still there to make pulling out of acute-angled junctions just as difficult as in the old model, but between them was a plexiglass panel on the turbo model (the non-turbo Esprit made do without that which pushed its Cd up to 0.35 compared to the Turbo’s 0.34. If ETNA was ultimately nothing but a dream then, at least, Lotus could take some solace in the new Esprit. Penned by Peter Stevens, who had already been successful in updating the Eclat into the Excel, it retained the essence of Giugiaro's original at the same time bringing it up to date. This styling model dates from 1987. Despite these wholesale changes, there were still a few leftovers from the past which niggled some commentators, namely the Morris Marina door handles and the doors’ narrow opening angle. Not only was the body design right up to date, but so was its construction method. Originally the Esprit had been designed for VARI construction — the same method as the Excel — but lack of investment meant that throughout its life, the Esprit was hand laid. Lotus took advantage of the redesign to rectify that. 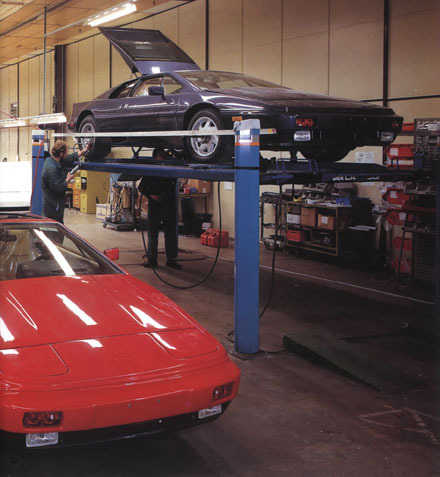 Steven’s Esprit was designed from the start to be built using the VARI system; that, and extensive use of Kevlar in high stress areas made the body that much stronger to the benefit of ride and handling and vehicle durability. While Stevens and Thomson had enjoyed quite a bit of scope in re-sculpting the car, colleague Simon Cox — who was charged with revitalizing the interior — had a less easy task. 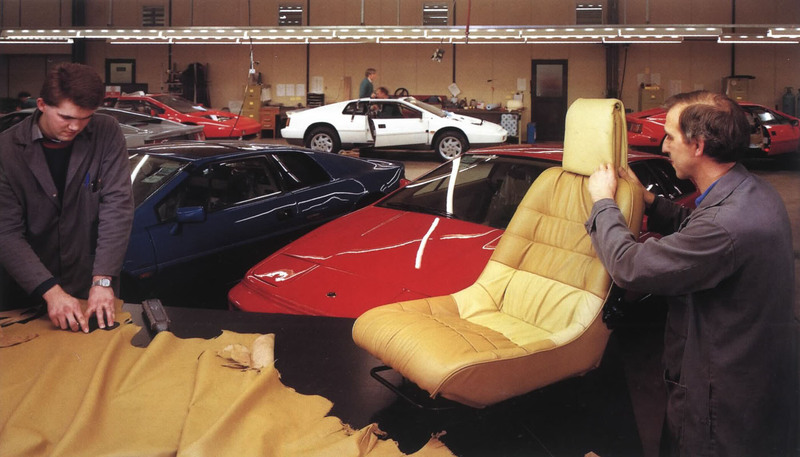 As the chassis was identical to the old Esprit all the gains on interior measurements came from the body and were strictly limited: 0.8ins greater headroom, one inch more footwell width, 0.6ins extra legroom and inch wider seats. Better than nothing! Out went the slightly ‘tarty’, rouched leather interior, replaced by a more tasteful, and durable, tweed-leather combination. 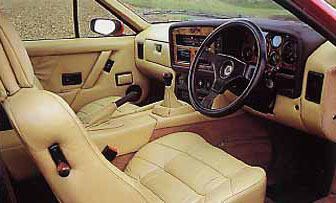 The fascia, whilst paying homage to Guigiaro’s original ‘boomerang’ design, was more cohesive and ergonomic with VDO instruments clustered directly in front of the driver — and viewable to all but the tallest — with Maestro-derived push buttons controlling minor functions on the outer edges of the binnacle. 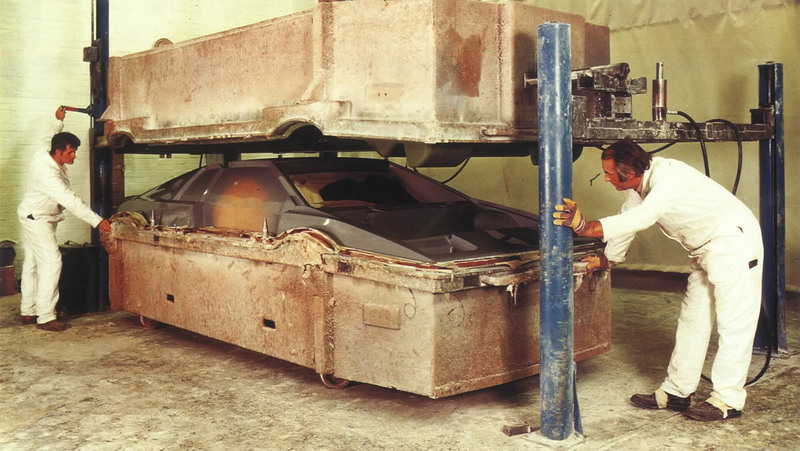 As with the original Esprit there was precious little space for storing anything inside the cabin, apart from a glove-sized glove box and a small pocket on the rear bulkhead. The chassis carried over virtually unchanged, though by the time it had been attached to the new body, torsional rigidity was up by a sizeable 22 per cent. Consequently the combination of softer springs and greater vehicle weight — at 2,793 lbs the Turbo had put on I 471bs over its predecessor — meant ride comfort was improved without compromising handling. On paper the suspension was unchanged: the front consisting of an upper, shorter, wishbone made from a pair of channel-section steel pressings .with the lower one made up of a box section transverse link and a tubular steel arm. The front anti-roll bar was mounted from the outer ends of the lower wishbone. At the back, the alloy hub carrier is located by a steel tube transverse link at the top and a longer tube at the bottom with a box-section semi-trailing arm pivoted from the leading edge of the hub carrier forward to the chassis’ backbone. As if to show there were no hard feelings, Toyota supplied the ventilated 10.1 ins front discs and the 10.8ins solid rear ones. Despite the latter now being mounted, outboard unsprung weight was actually reduced thanks to new, lightweight, Lotus-designed alloy wheels manufactured by Italy’s OZ. 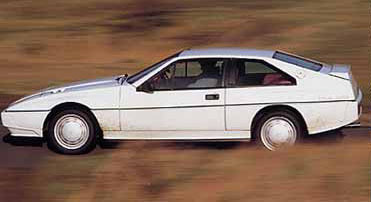 A Goodyear 175/70 SR 14 space saver tyre was stored under the front bonnet as the Esprit had different sized wheel/tyre combinations: 7JKx15ins with Goodyear Eagle NCT 195/60 VR 15s at the front and 8JKx15ins with 235/ VR 15s for the rear. 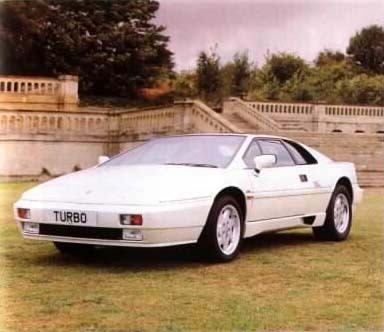 Moreover, when the same magazine put an Esprit through its performance paces a year later, 0-60mph was banished within 5.3secs and a top speed approaching 158mph attained. These impressive Porsche and Ferrari equalling figures were tempered by some doubts gathered after driving the Esprit for 5,000 miles in a week: “The Esprit is not the best supercar, it lacks two crucial ingredients. Its engine.., has nothing like the flexibility, the throttle response, or the music of the Porsche 91 or Ferrari GTB. It also lacks the external beauty: its body is not as well crafted.. .nor as distinctively styled’. Meanwhile the Excel soldiered on, getting a minor facelift and further chassis tweaks. The kerb-prone front spoiler had a flexible rubber lip added to its lower edge, the rear spoiler was redesigned to make reversing easier and spats were added to the rear wheel arches. As for the chassis, the suspension geometry was altered to maximise new spring and damper rates and the 21 5/SOZR IS Goodyear Eagle tyres were fitted to new seven-inch alloys. The engine remained untouched, apart from new hydraulic mounts, a sure indication that the Excel’s time was running out as the launch of the new Elan — code-named M 100 —drew ever nearer. To celebrate 40 years of Lotus a limited edition Esprit Turbo was announced at the 1988 Birmingham Motor Show with white pearlescent bodywork — complete with rear-mounted spoiler and a deeper front bib — a two-tone blue leather with matching suede interior and a sophisticated Sony hi-fl system with CD player; this Esprit proved an immediate success with UK buyers. The excuse for this car was to celebrate “Forty years of achievement” and each car had a numbered plaque mounted on the fascia to record that. Inside a blend of blue leather and suede was used to trim the special’s interior and veneer made its first appearance in a modern Esprit. More significantly, the traditional ACBC badge was given a mild update with stronger colouring and letters; nevertheless, it was instantly recognisable as the true Lotus crest. In May 1989 the SE version of the Turbo was launched. With 264bhp on tap from its 2.2-litre engine it would rocket to 60mph in 4.7secs and 100mph in 11.9secs before attaining a top speed of 163mph. For once, these figures were modest as Fast Lane proved when it tested the car, achieving 4.Ssecs for the zero to 60mph dash. However, the Esprit was much more than a phenomenally quick car; it was powered by a ‘green’ engine which complied to the Californian exhaust regulations, the world’s toughest. 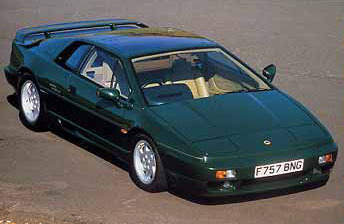 Lotus had also been stung by criticism of the Esprit’s chassis, ride and handling and the general lack of build quality. 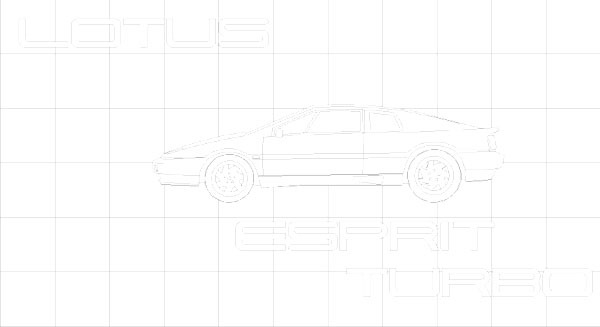 The Esprit Turbo SE was meant to address all these shortcomings. 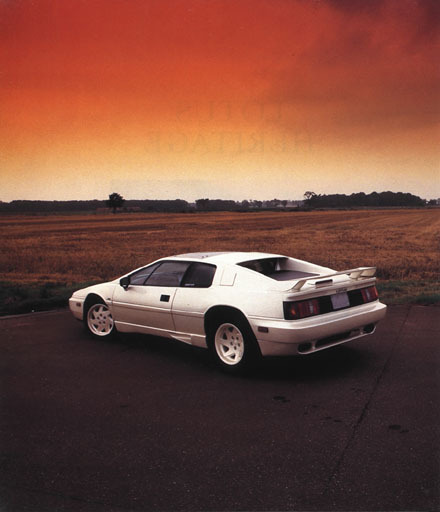 In mid-1989 Lotus unleashed the Esprit Turbo SE with 264bhp on tap, revised chassis settings, a 163mph top speed and 0-60mph in 4.7secs and all for less than £50,000. Surely the bargain supercar of the decade. This overhead shot gives a good impression of just how wide an Esprit is, at 73.2 ins care is needed threading the car through narrow lanes and thick traffic. Tan leather and matching carpets blended well with the veneer fascia. The front suspension geometry was revised to eliminate anti-dive characteristics, pitching movements and improve ride. Lighter steering effort, especially at low speed, was achieved by reducing caster angle from 2.5 to one degree and increased bump travel with revised bump-steer characteristics further enhanced ride and straight line stability. Stiffer front springs were fitted and, although the rears remained unchanged from the ‘89 Esprit, gas-filled twin-tube dampers were used at the back for quicker response. Goodyear worked closely with Lotus to specially develop new Eagle ZR tyres for the SE: 215/50 ZR 15s mounted on 7JK x 15ins rims at the front and 245/50 ZR16s on wider 8.5J x 16ins for the rear. The 50-series low-profile tyres featured a new tread compound while the rears had a unique purpose-designed carcass construction. The additional rear wing and front spoiler were not just cosmetics, but served a real function in giving the car neutral balance throughout its speed range. Front and rear lift was tuned to only a few points above zero and the Peter Stevens-led design team paid particular attention to cross-wind stability so as to achieve a linear rate of change. In addition to the central door locking and electrically-operated fuel filler caps which were introduced on the 1989 specification Esprit Turbo, the SE also featured a burr Elm fascia, full leather interior trim, removable glass sunroof and air-conditioning. An ice-warning light which came on once the ambient temperature dropped below five degrees Centigrade was fitted for the first time. But was the £42,500 Esprit worth it? According to Car magazine it was: ‘Fact is, the only cars more accelerative [than the SE] are limited-edition, telephone-number-expensive monsters such as the F40 and 959. The SE Esprit has the others comfortably covered. In its newly fettled SE guise, there’s no doubt that the Lotus is Britain’s best supercar. It’s not just Britain’s best: it’s one of the world’s best, and without doubt the world’s best value”. Lotus was on a roll. The Esprit had thrust the company into the top ranks of supercar producers and any fears that its independence might have been compromised by GM’s big-brother attitude were finally quashed. The GM relationship was, seemingly, harmonious; the SE’s sophisticated engine management system was only available because of Lotus’ link with GM. 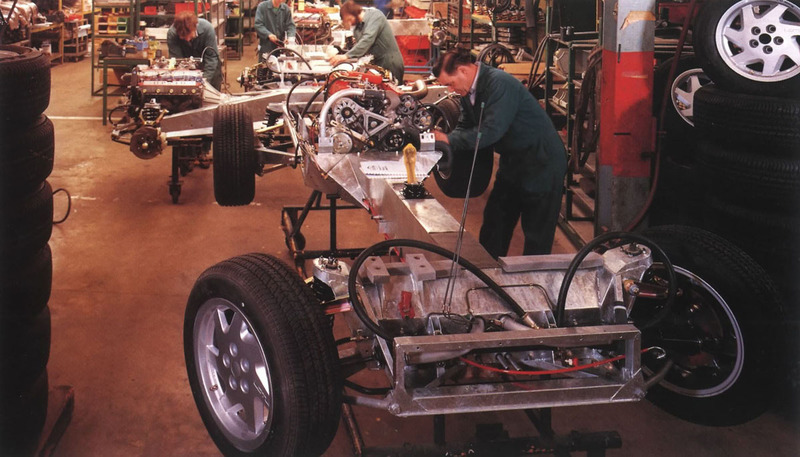 As the summer months passed there was growing excitement at Hethel, and anticipation amongst the specialist press, as everyone knew that M 100 — the eagerly-awaited new Lotus Elan – was about to appear. Left: Much of Lotus' income came from its Engineering consultancy and projects like SID — Suspension, Isolation and Dynamics. This re-bodied Esprit had a Kevlar/Carbon Fibre/GRP monocoque and a Metro 6R4 powertrain. It was developed to help Lotus, and its clients, understand and develop the dynamic interaction between the car's various componets. Right: In the late Eighties Hethel underwent a massive building programme with new facilities being put in for the Elan (the two yellow roofed buildings in the centre and to the right), while the building work which can just be seen on the left of the picture is the semi-anechoic chamer under construction. The test track can be seen sweeping across the centre of the photograph.